Have you ever tried to hunt at night? If yes, then you know how the darkness can be a big impediment. That’s why every hunter or hiker must throw in their bag a night vision monocular if they plan to get busy when the sun sinks into the western horizon. Knowing that you need some aid with night vision is the easy part. Do you know what the hard part is? Choosing the right night vision monocular is a hell of a task. I thought about it and to save you the trouble, in this post I compare and review the best night vision monocular under $200. I will detail the key features, pros, cons, things to consider and my final verdict about this product. Helping you make the right decision has always been my mission and that is not about to change any time soon. With that said, let’s get into the matter of the day. N.B: Price in between $200! 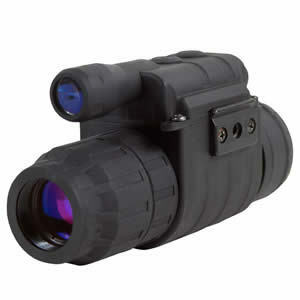 It could be you are looking for the best affordable night vision monocular, but have no clue where or what to look for. Put your worries aside because you came to the right place. After searching the market, practically tested and went over hundreds of customer reviews; this article presents to you a review and a guide to buying a night vision monocular for less than $200. Tag along and I will make it your worthwhile. For the darkest nights, you need an equally powerful night vision monocular. Don’t search any further; this Sightmark ghost hunter monocular will exceed your expectations. You will get clear images in pitch darkness. I find this monocular a perfect pick for the nocturnal hunter who wants to take home a bountiful harvest. It is designed for the pros with an 805nm illuminator as well as 2x magnification when your prey is nearby. Carrying this monocular is hassle-free as it is lightweight and compact. That is an attribute I look for whenever I’m adding anything to my outdoor arsenal. You will also love the endurance that comes with this piece. It is built to last and overcome the rough conditions out there. Besides, it also features a 100% waterproof polymer. When it decides to rain, you have your night vision under wraps. I saved the best for the last. This monocular comes with an automated shut-off capability. When the light gets bright, the optic automatically shuts off and save your night vision tube from burning out. To me, this is a genius inclusion. 805nm illuminator. Under low-light conditions you will get pristine images. Moreover, this will make sure you do not give away your perched position to your prey. Magnification: 2x. Even when your target is 100 yards out, you can see it clearly and big. You can hardly miss a shot. Range: 328 feet. This is a pretty generous range as you will not be too far or too close to your target. Auto optics shut-off. I love this feature because it takes care of your night vision tube. For this, I give Sightmark a thumb up. A quick look at this Barska 3x night vision monocular would be enough to make up your mind. It is lightweight, can easily fit in a small pocket, and affordable price tag. Through the monocular you can capture both image and video and view it on the crystal clear in-built screen. You can as well choose to transfer the images and videos to your PC for better viewing. The 3x magnification gives you powerful sight to pierce through the darkness. The resolution is something I admire as you will not struggle to see your target as far as 328 feet away. What you are looking at is a tool that can improve your surveillance work and literally turn your nights into daylight. With a generous price tag, I’m sure you are getting value of every buck you are spending. In-built tripod mount. You will not spend any extra dime to get a tripod for your monocular. This Barska monocular has your back on that. 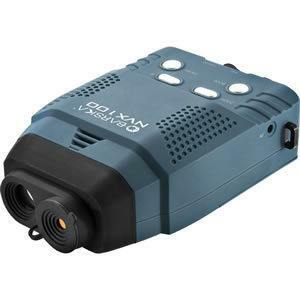 350nm infrared illuminator. With this you are getting a powerful sight into the dark. You can clearly see as far as 328 feet. At this safe distance, your target will hardly know what hit it. 1GB SD card. This is adequate to store your data before transferring it to your computer. Image and video recorder. This is a chance to capture your prowess and show it to those who doubt it. You can easily upload these image and videos to your PC for better viewing. Carrying case, USB, AV cables. It seems you have most of the accessories you need for your monocular. This Astromania portable monocular punches above its weight. The glasses are multi-coated, and the sensors are pretty powerful. What this night vision monocular is putting on the table of hunting and surveillance is versatility that you can only expect in military grade devices. Whatever it is you want the night vision for, hunting, surveillance, fishing, or boating; you have them all covered. The IR illumination can be varied to 7 different levels. I have never seen better at this price range. Whatever the darkness throws your way, you have 328 feet of clear and bright view. Once you focus on your target you can hardly miss it. What I admire most about this device is the fact that you can record images and videos for later viewing. You can do that on its internal screen or upload them to your computer. You can easily mount it to a tripod stand or hold it in your hands. The rubber cover gives it a much-needed friction to prevent it from slipping from your grip. The function buttons are easy to spot and use even in low-light conditions. With the package you also get a soft neck strap and carrying case, AV and USB cables, and 4 GB SD card that you can easily replace with more storage capacity. 7-level illumination. You can vary the IR illumination for a record 7 levels until you find the right brightness for the image. Great sensitivity for low light. Even in the dimmest conditions and without the help of the illuminator, you are assured of clear images. This is, to me, what a night vision monocular should be able to do. Dimensions: L 5.7, W 3.5, H 1.4 inches. Weight of 11.4 ounces. You can easily pack it up in your bag and only get it out when you need it. USB and AV functions. You can readily transfer images and videos to your PC. With the AV function you can view files on Television. What a better way to share the fun and thrill with your entire family! Built-in LCD screen. 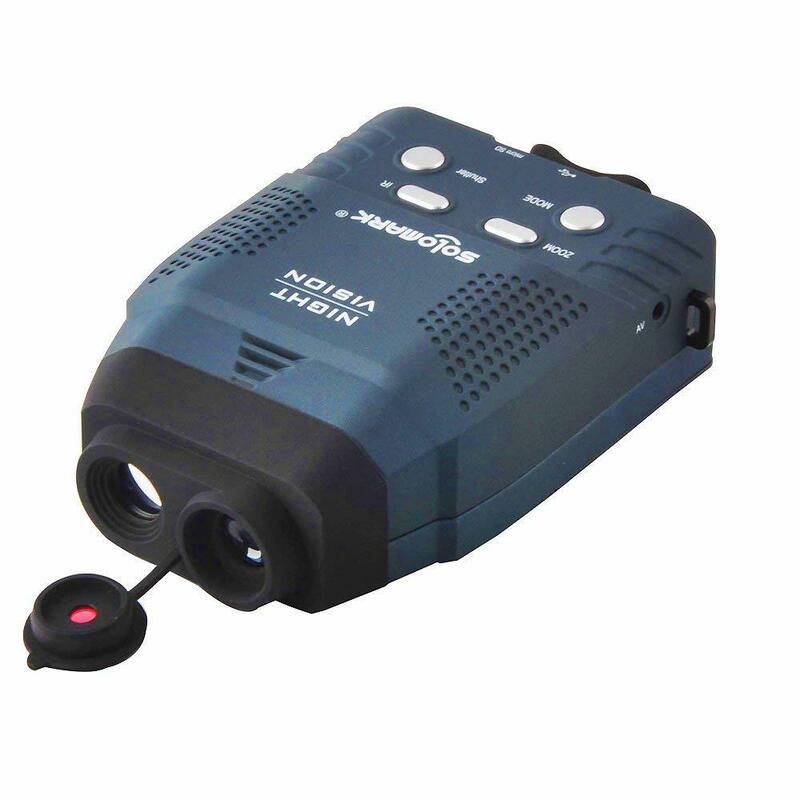 You can view your images and videos from the comfort of this monocular. The color LCD screen display is clear and easy to use. Are you looking for a monocular to give you an upper hand and thrilling experience for your activities? OPTISCOPE has done some great job on this monocular. The performance is up there with the very best, but the price is nothing to stress your pocket. You are getting a small-size device that can easily slide in to your hunting pants pocket and not show. The sensor has been configured to make the best out of dim-light and give you a clear image. For a distance of 328 feet you will not have to strain while focusing on your target. The 3X magnification makes sure you get everything to whatever size you desire. You have not even heard half the best story of this monocular. You also get a 4GB SD to store your files. You have an option to upgrade the storage capacity to 32GB. The control buttons will give you an easy time setting up or using this device. Magnification: 3X. You will get crystal clear images within a distance of 328 feet thanks to this magnification. Integrated tripod. It comes with its own tripod stand. No need to spend a dime for an extra one. AV and USB cables. With the AV cable you can connect it to your TV and enjoy the view with your family. The USB cable makes it easy to transfer your files to the computer. Image and video recorder. Don’t stress over anything, this monocular will easily record your image and videos for later viewing. Vision range: 328 feet. You do not have to get close to your target. At 328 feet, you can clearly see your object. In-built LCD screen. You do not have to transfer your files to view them. This LCD screen has a great display with navigation buttons. In this night vision Monocular, Solomark makes sure you can clearly see in total darkness for 328 feet range. The 7-level IR illuminator makes sure you never miss any small details. This is even made better by the dim-light high sensitivity nature of this device. You will hardly need to use the illuminator. You won’t believe that this monocular is slightly lighter than a pound. You better believe because you are getting a lightweight, compact and easy to conceal night vision device. The rubber makes sure you can easily grip the monocular in your hand. If you prefer having your hands free, you can mount it on a tripod stand to attain stability. For whatever you intent to use this one for, the in-built color LCD screen makes sure the images are served in top quality. On top of being affordable, there is a big surprise for you in this device. It comes with a range of accessories that you would otherwise have to buy. In the box you will also find a 4GB SD card, AV and USB cables, neck strap and a carrying case. For less than 200 bucks, you are getting more than your bargain. In-built LCD color screen. You get a chance to view your images and videos from your device. IR illuminator (7 levels). You can adjust the illumination to seven different levels until you get the perfect view. View range of 328 feet. This range is adequate to hide from your target just in case you will be hunting. Rubber-coated cover. This increases friction to make sure you never lose grip of your device. Multiple accessories. Except for batteries, this device comes ready armed with the accessories you will need. A 4GB SD card, USB and AV cables, a neck strap as well as a carrying case. You are saving a lot on these. Magnification: 2X. Here you can increase the size of your target to whatever feels comfortable. You never have to get close to get the full-size view of objects. If you have come all this way, then I know you are serious about buying a night vision monocular. You have probably made up your mind about what to buy from the top 5 list. But before you do that, here are the things you must consider when making the purchase. Where you will be using your monocular: You might want to know where or for what purpose you need night vision for. This will help you decide on distance range and the intensity of visibility. If you will not be viewing targets far away, a relatively short range would be a great choice. The weather and level of light will also play a crucial role in making your decision. Quality of image: The core purpose of night vision is to improve visibility. But that does not mean you should look down on the quality of image. For $200 you may not get the best quality image but you should make sure you are getting the best value for your money. Durability : You are not planning to go shopping for a new monocular after every few months, are you? That is why you should insist on durability. 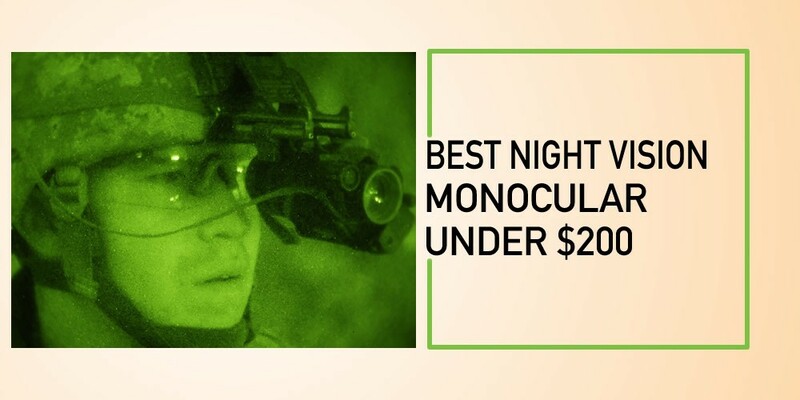 Just because you are buying a 200-dollar night vision does not mean you should settle for less. Make sure the parts are top quality if you have any chances to get this wish. Waterproof: This is not a big consideration, but if you will be hunt in snow and rain you have no choice but to consider it. Since monoculars are created for outdoors, most of them come with waterproof capability. Just make sure you confirm it in the device you are buying. Ergonomics: Portability and space saving are two characteristics you should not overlook. You need a device that can easily fit in your side pocket and not show a bulge. If you go for higher magnification, the larger the optics you have to deal with. Infrared illumination:For those pitch dark nights, you will be helpless without infrared illuminators. It is not negotiable that you should have IR on your device. Some are inbuilt while others can be mounted separately. Q: Can I use my night vision monocular during daylight? A: Largely no. Conventional night vision is damaged when exposed to daylight. However, if you are using digital night vision then you can use it during the day without any risks of damage. Q: Is it easy to attach my monocular to a scope? A: Well, it is dependent on a number of factors. Your type of optic and monocular will determine if you find it easy or hard. Some come with a thread thus will be effortless to attach. Lots of others will be perched at the front of the scope. If you are not sure what to do, your user manual has all the details you need. Q: How delicate is my night vision monocular? A: This is a common question customers ask. Monoculars have precision electronics, which break when dropped or exposed to pressure. You should take good care of your device if you do not want to go back shopping before you get value for your money. Q: What is Infrared Illuminator, and do I need it? A: Infrared illuminator or short form for IR is a source of infrared light useful in dark areas. 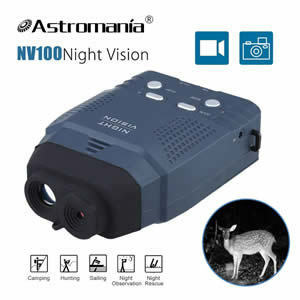 It is not visible to naked eye but greatly improves night vision. Yes, you need it when you are in conditions with dim light. You now have most of your questions answered, and maybe you have settled on one of these affordable monoculars. What you have is quality night vision at a competitive cost. Before I bring the curtain down I would like to make a personal opinion. 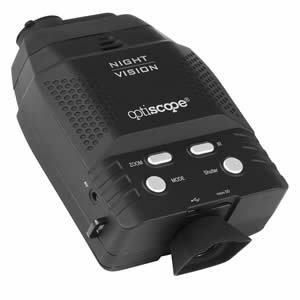 To me, the Premium Night Vision Monocular by OPTISCOPE is the winner of this contest. It is cheap, premium quality parts, and features you would expect to find in not-so-cheap options. It is a well-rounded choice that is easy to use, and offers above-average performance. Do not feel under any duress to make it your choice; all the five devices are in this list for a good reason. Any of them will make a good fit. Knock yourself up! So, what are you waiting for? Go ahead and grab your night vision device and bring an edge to your night time adventure. Just in case you have any question, the comment section is all for that. Let’s keep the fun going around because that is what good friends do. Best Night Vision Monocular Under $300 In 2019 – Check Our Top 5 Picks!